1.3. How to check symptoms of dandruff quickly? 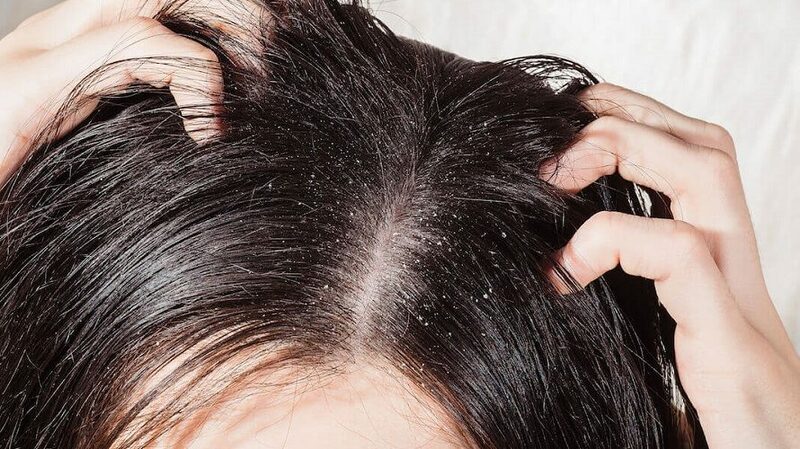 How many times have you felt annoyed while seeing dandruff on your scalp? How many times have you learned how to prevent dandruff? And how many times have you paid your bucks to buy shampoos hoping to remove those white itching scales? Doubtlessly, you find the right shampoo that can prevent dandruff. However, you should study necessary ingredients in the shampoo that can get rid of dandruff from your hair. Try to read the BEST DANDRUFF SHAMPOO FOR MEN here, and you will be updated some useful information. Aside from washing dandruff off by using shampoos, there are other helpful means that you can avail to control them as well. So, let’s turn back to the question of how to prevent dandruff. Of course, you are able to find many answers from different websites on the Internet. But, if you need a logical explanation to understand better, this article is what you need. Dandruff are loose dry scales of dead skin that are shed from the scalp. It’s a natural thing since our human body peels the whole skin every day. When skin dies, it scales off little by little with small pieces so that no one notices them. Therefore, having dandruff doesn’t mean you’re sick or unclean. The truth is that more than 90% of Americans will catch dandruff at times in their lives. But, when sloughing dead skin happens quicker, it will shed in big chunks while the flakes are not dead yet, making them easily noticeable. Moreover, the itch that comes with dandruff is known an inflammation of the skin. If having dandruff, you’re often advised to clean hair regularly. IS IT GOOD TO WASH YOUR HAIR EVERY DAY? Actually, performing poor hygiene is the leading cause of dandruff. That’s why you should keep your hair clean and wash them frequently to discard the itchy dandruff. Besides, you should study other causes that might also result in dandruff. From then on, you will learn how to prevent dandruff efficiently. One of the most popular causes of dandruff is dry skin. When your body parts such as hands or legs become dry and itchy, you will discover dandruff in your hair. In addition, you might suffer other environmental factors that can make your skin dry. If you don’t have the dry skin and wonder WHY DO I HAVE SO MUCH DANDRUFF, you must know that oily skin is one of the most common causes. It’s called seborrheic dermatitis and marked by greasy, red skin covered with flaky white/yellow scales. 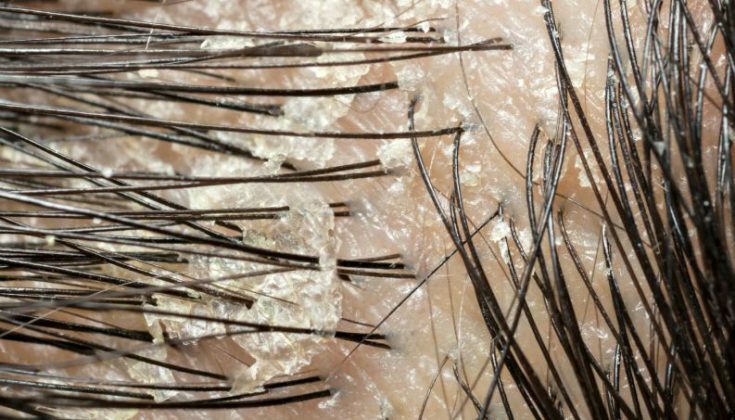 But, the worst thing is that this kind of dandruff might affect not only your scalp but also other body areas rich in oil glands such as sides of nose, eyebrows, back of ears, chest, etc. How to prevent dandruff? Well, you need to determine whether you catch any specific skin condition such as seborrheic dermatitis, psoriasis or eczema. If yes, you are likely to get dandruff. The appearance of the fungi Malassezia on adult’s scalp is a normal thing. But, due to factors as diet, hormones, climate, stress, etc. these yeast fungi can overgrow and irritate your scalp. This annoyance will create more skin cells to develop. And when it happens, the extra skin cells fall off the scalp and produce dandruff in your hair. The chemical ingredients in the hair care products might make your scalp itchy, scaly and reddish. Not washing your hair regularly or applying too many styling products provokes your scalp and creates dandruff . How to check symptoms of dandruff quickly? Whenever seeing any dry white skin flakes on your scalp, hair or shoulders, you should know that this is the first symptoms of dandruff. And you need to cure them instantly. How about other symptoms due to different causes? Allow us to support! If you have dandruff due to your oily skin, you can catch some usual symptoms. Your scalp will become greasy or dry and itching. And when the skin cells start dying, you might discover yellowish scales. In case you see more yellow and red scales on your hair, around ears or nose, you’re in a severe condition. To skin diseases like psoriasis, dandruff will arise as silver scales, sometimes also caught on palms, ears or soles. How to prevent dandruff? The good news is that you can treat this embarrassing condition with ease by looking for shampoos designed to get rid of dandruff or prescription solutions for this issue. But, why do you wait for the appearance of white flakes and then find ways to deal with them? Why don’t you perform necessary preventive measures at first? Do you know that prevention is the best treatment for any health conditions? Down here to know now! Performing good hair hygiene as washing and brushing can help to stop the growth of dandruff as well as keeping your hair and scalp healthy all the times. If you own an oily or irritated scalp, you should wash your hair once a day. Besides, brushing hair regularly helps your scalp peel skin. 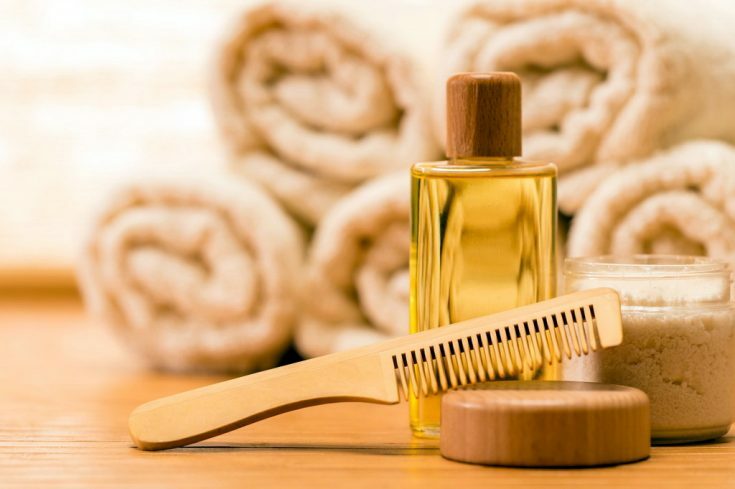 If necessary, you can spread some of the natural oils evenly around the rest of hair to prevent dandruff and an oily scalp as well as reviving dry strands. Just remember when brushing the hair, try to perform even and firm strokes and start from the top of the scalp down to the tip of the hair. Spending time in the sun is known as a recommended remedy not only for skin conditions but also dandruff. However, too much exposure to sunlight will damage the skin according to medical experts. So, you just spend a little time outdoors each day and make sure you always wear sunscreen on the whole body to protect your skin. Additionally, if you’re using anti-dandruff treatments like coal tar shampoo, be careful because your scalp will become sensitive to UV light. The best thing is to check whether your shampoo mentions sun sensitivity or not. If yes, you need to avoid exposing to the sun. Doing dietary changes is one of the necessary ways that you should know when learning how to prevent dandruff. Keep in mind that any food plays a vital role in the health of your skin and hair, especially about dandruff. So, if lacking foods high in zinc, B vitamins, selenium, and omega-3 fatty acids, you are prone to dandruff for sure. Eat nuts, beans, whole grains, crab, oysters, red meat, and poultry to increase the amount of zinc and regular the sebum in the body. Eating vitamin-rich food such as legumes, lean beef, cabbage, eggs, fish, broccoli, etc. helps your body break down fatty acids and carbohydrates that might result in dandruff symptoms. Especially, don’t forget to drink more water and eat more fruits to prevent dry skin. Don’t make light of stress because it can make any health condition worse. Of course, it’s no exception to dandruff. And, medical experts reckon that stress might produce or worse this condition. Usually, you’re advised to reduce stress if having any problem related to health. Although it’s easier said than done, you can consult some tips here to help yourself better. Which products do you have in your bathroom cabinet? Mousse, hairspray, wax or gel? Bear in mind that these styling and care products might improve your appearance. However, they also result in dandruff because they help to create a build-up of oil on your scalp and hair. The best thing is to reduce or cut back on these products if you can handle your hairstyle by yourself. But, how to prevent dandruff when you still want to use these products? Just make sure you wash your hair thoroughly at the end of the day . By following all five tips above, you now easily answer the question of how to prevent dandruff. Besides, don’t miss consulting other remedies that are simple-to-use and effective for curing dandruff at home. One of the first natural treatments that you can use to handle dandruff is baking soda. Dampen your hair and then rub a handful of baking soda into your hair and scalp. Next, leave it on about 60 seconds or more before rinsing it with warm water. Baking soda will decrease the number of overactive fungi that might create dandruff. So, instead of using shampoo and wonder HOW LONG DOES IT TAKE FOR DANDRUFF SHAMPOO TO WORK, you can wash your hair with baking soda. Just note that your hair might get dried out at first, but everything will turn back to normal after weeks. It’s because your scalp will generate natural oils to make your hair free of flakes and become softer. Aside from using baking soda, apple cider vinegar is also rated as a natural astringent that can prevent your scalp from dandruff. According to Dr. Mehmet Oz, he said that the apple cider vinegar’s acidity helps to change your scalp’s pH, making yeast hard to grow. How to prevent dandruff with apple cider vinegar? Mix well two cup of water and two cups of apple cider vinegar. After washing hair, start applying this mixture to the wet hair and then massage. Next, leave it about 15 minutes before washing again and perform this about 2/3 times a week. Coconut oil or other natural oils are helpful to keep your scalp moist, nourish your hair and prevent the build-up of dandruff. Meanwhile, lemon helps to get rid of those annoying flakes since its natural acidity balances the pH of your scalp effectively. Now, let’s heat two tablespoons of coconut oil and then mix well with two tablespoons of lemon juice. Gently massage it into your scalp and let it sit for 20 minutes before washing it with shampoo again. Another way to treat dandruff that you can use at home is tea tree oil. But, how to prevent dandruff with this oil? You can directly apply some drops on your scalp, massage and leave for 5 minutes before rinsing off. Or you can add a few drops to your shampoo to use. If necessary, try to look for shampoos with at least 5% tea tree oil and use once per day in order to treat dandruff efficiently. Aspirin has salicylates, which is known as a same active ingredient as medicated dandruff shampoos. Crush two tablets of aspirin into a fine powder and then add it to your shampoo. Wash your hair regularly with it and remember to let it sit on your hair about minutes before rinsing it out. Similar to coconut oil, using olive oil helps to get rid of dandruff. You just apply a bit of unrefined organic olive oil on your scalp, massage gently, and leave it about an hour before brushing to smooth out your hair. Avoid using too much, or you will get an oily hair and need to wash it. The best thing is to mix it with some ESSENTIAL OILS FOR DANDRUFF to increase the effectiveness. How to prevent dandruff with mouthwash is known as a good way for those who catch a terrible condition of dandruff. It’s because the anti-fungal properties in the mouthwash help to stop the yeast from developing. Just wash your hair with shampoo as usual and then rinse with mouthwash. Make sure you mix one cup of mouthwash with nine cups of water before applying on your hair. After that, use your conditioner as usual or leave it dry naturally . How to prevent dandruff? By following our recommended tips above, you’re guaranteed to get proper preventive measures to eliminate annoying dandruff. Besides, you should not miss some natural home treatments to cure and prevent dandruff efficiently. All in all, always remember that keeping your hair clean is extremely important to help you avoid having dandruff. And in case you want to know more information about dandruff such as HOW LONG DOES IT TAKE TO GET RID OF DANDRUFF or HOW DOES ANTI DANDRUFF SHAMPOO WORK, you can consult here. Or just send us your questions so that we can support you best. Last but not least, please SHARE the article of how to prevent dandruff if you find it helpful not only for you but also your friends and relatives. Don’t mind signing up to receive newsletters every day if you’re interested in your health and beauty.